Mars in Libra is the season of mists and mellow fruitfulness. It is neither overly belligerent nor ferociously soft. Conversely, inside, it harbors both and that pressurizes struggle in the natives. One of the biggest problems is that fiery Mars isn’t compatible with the tranquil nature of the Libra. For the natives, it shows up in the form of sudden anger which they eventually try to put off with an apology. Otherwise, they keep the issue to themselves. Of course, sometimes a friend is allowed to lend an ear to it, but their decision to help the natives may not succeed. It is just that the Libra Mars has trouble articulating the negative to the abuser. Its natives tend to view straightforward negative talk as painful for others. Consequently, at the moment of confrontation, they are likely to turn passive or change whatever they mentioned earlier to their friend. They don’t meant to hurt them either. Sometimes telling other people about someone who causes them pain is their way of taking revenge. 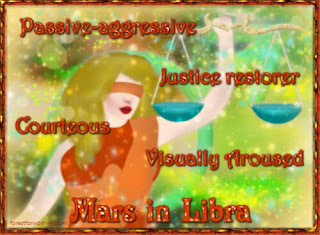 Still no one can deny that these Libra Mars creatures are very pleasant and memorable. The Medal of Honor is their supercharged ability to persuade and they do it without even taking help from any force. Apparently, they are gifted sugarcoaters. Besides, they love to bring smile to faces. They wholeheartedly enjoy making people happy. They may never admit, but secretly they enjoy a healthy dose of limelight and may turn to those who praise them. Some natives tend to choose their careers based on this specific factor. It is not surprising that they are quite active in the showbiz. The natives can be easily molded into fine speakers. Others may find themselves in careers related to fairness to satisfy their urge to create balance in the society. No matter what they go for, vogue is usually a driving force in their lives. Social events are of equal importance. The two pretty much are connected to each other. The simple point here is that to Mars in Libra, social approval means a lot. The natives are sometimes so busy with trend and social events that they come off as shallow to deep thinkers. Struggle to make a decision is engraved within this astrological position. Thus, those who are into making clear goals may find the natives waste of time. But it is never right to underestimate them so quickly. The indecisiveness does not have much impact on their success rates. When they want something they can get it and make all envy. Never forget that Libra is a cardinal sign. The sexual side of Mars in Libra can never be fully generalized. Make a note of social approval mentioned earlier. The natives choose their view on sexuality based on how others view it in their environment. Of course, they have their own opinion, but they will sacrifice it to get accepted by others. Deep down inside the scale still continues to work. Whether it is a one night stand or love making with a real partner, the natives believe in returning the favor. Last thing to note is that these people are into visuals of sexual acts. He is a charming ant. Don’t see it as insult. Ants may look weak, but they get what they want. It is all in the power of their community. The man of Libra Mars works on his strategy to reach goals in that same manner. He likes to surround himself with the beneficial people. They are required in his career as well as love. If he is born into a wealthy family the beneficial ones are going to be his parents who by the power of their name launch his career. Otherwise, he will network. Independently, he is heavily lost. He may have something in his mind, but there are just too many ways to turn it into a reality. Which one to go for? If no answer is found he will go on a long vacation just to do a little bit more of thinking. Consequently, he often becomes the definition of ultimate laziness. Only those who are close to him will be aware of it. Others outside will not be able to resist him. He appears very relaxed and has a tendency to verbally praise people. Who can refuse him? There is still a twist in the story. Libra is ruled by Venus. The man, therefore, is inclined to respond to love. This is the only thing that can lose his hibernation. He can do anything for a loved one and this includes leaving the procrastination to independently work on a goal. Apparently, the love for the scale can lead him to professions of restoring balance. Yet in some places, he is likely to turn into a douche-bag. As stated earlier, he is into beneficial people. This should be taken as the hint that he has a tendency to stereotype and this has link to appeal to authority and majority fallacies. Love is a matter of turmoil for this guy. He sure wants to be the best lover a woman can have. But he is all about the exterior and this is where things become challenging. Before he can get into a relationship with someone, he needs to know whether she is socially acceptable. That is why, the face, dressing style and manner are of high importance to him. His ultimate objective is to settle down with someone capable of giving him a good position in life. If this part goes smoothly he becomes ready to let go off any negative factors surrounding the personality of love interest. Then the problem begins. He is sensitive and passive. She is confident and dominant. Although this allows him to get a good amount of push to get some jobs done he keeps listing how he is being victimized in the relationship. A very aggressive woman will usually force him to ignore confrontations. The worst result will be unfaithfulness. It is his way of escaping the reality. Aphrodite is her name. She is swayed by beauty, art and culture. She is a group person. Without friends or family, she is a depressed soul. What makes her different from the man above is that she is not looking for beneficial people to shape up her career. As stated earlier, her interest lies in beauty, art and culture. She likes to surround herself with people who are into them also. In fact, she is the type of woman who will actively participate in cultural shows and even insist that without them there is no meaning in life. She takes good care of her body. She is very particular about the appearance of her body. She wants to look pretty. When needed she will go for some body show to let the world know what God has gifted her. It is also fun to attract some male admirers this way despite the fact that this is not even necessary for her. She is good at starting conversations. Her coolness gets many men to feel relaxed in her company. 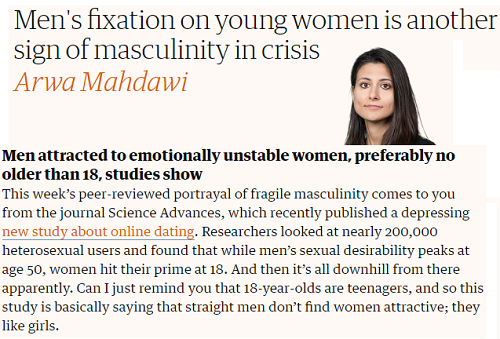 Actually, this is how her relationships come into existence. First friends and then partners. With the relationship comes the change in her way of thinking. Hopelessly in love, she begins to absorb her partner’s habits and opinions. Many misunderstand the type of man she likes. The rumor mill has gone into overdrive with the claim that she is prone to falling in love with those who are weak. This can be debunked easily by looking at her Mars sign. Libra is all about justice which when used properly welcomes civilization for the mankind. Civilized humans do not go around being animals. They learn to behave and live in peace. The woman of Libra Mars is looking for that same quality in a potential partner. He must be able to run the relationship without the use of aggressiveness and the idea that lifting heavy weight makes him a man.